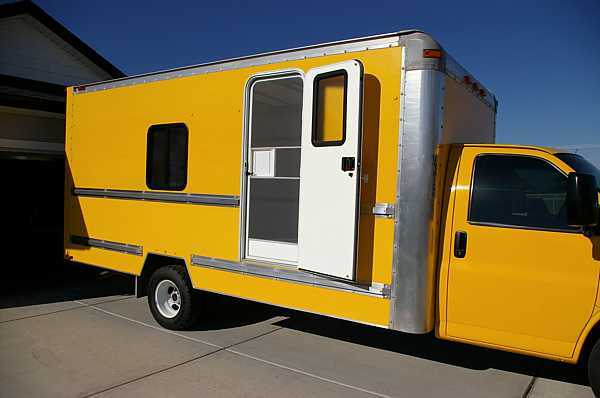 Have you ever dreamed about making your own RV? This is the story of one man who dared to make his dream a reality. Wade and his family were looking for a cheap RV. You know, something affordable to travel around the US that was sturdy enough to go off road. He found nothing that fit the bill. What he did find were a bunch of motorhomes that seemed poorly suited for camping off-the-grid. They had small wheels, low ground clearance and were super heavy. That wouldn’t work. 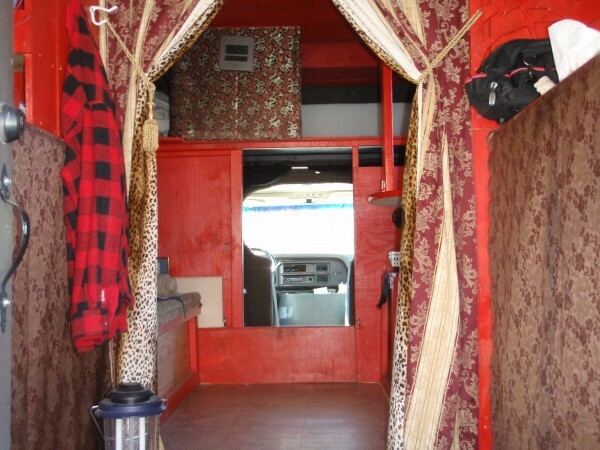 The only way he and his family could travel the US was by utilizing boondocking opportunities. Unfortunately, he couldn’t find anything remotely suited for their budget. And then one day as he pulled into the parking lot at the local grocery store he saw something that changed everything. There on the left sat a homemade motorhome fashioned from an old Uhaul truck. Wade’s eyes got big and he smiled wide. His wife wasn’t impressed and went into the store while Wade walked over to see the RV and ask some questions. To his surprise, the owner was excited to share his story. 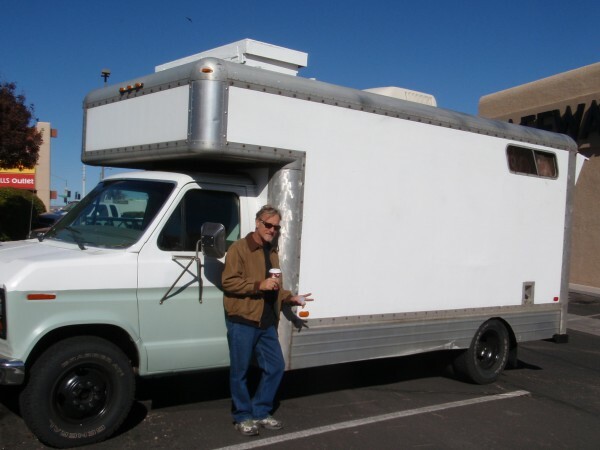 He started by telling him he had purchased the rig for a mere $2,000 seven years before. The homemade Uhaul was converted to replace living in a van which the owner had found really frustrating. The man was constantly having to make the bed back into a chair, try his best not to smack his head on the roof, and keep the interior clean in impossible settings. The Uhaul provided a new option, and the owner couldn’t wait to stop using his too small van. 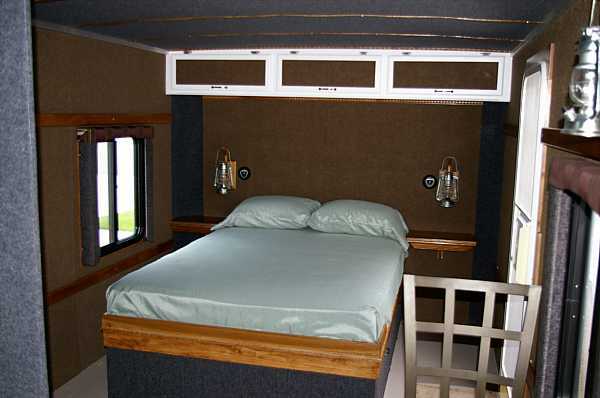 The Ford Econoline former Uhaul now featured a queen size bed on top of the driver’s cab. In addition, the cab had a hatchway which opened to the roof so the owner could lay in bed and gaze at the stars, or climb out and sit on his roof like a deck. 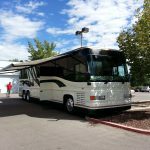 The owner of the homemade RV invited him in to see the interior and Wade was surprised by how roomy it felt. In fact, he was amazed at the sheer live-ability of the unit. It was much less cluttered than a traditional RV. He loved the fact that he could stand up in the rig — there was even plenty of room to stretch. Of course, the best part was the amazing savings it would offer Wade’s family. 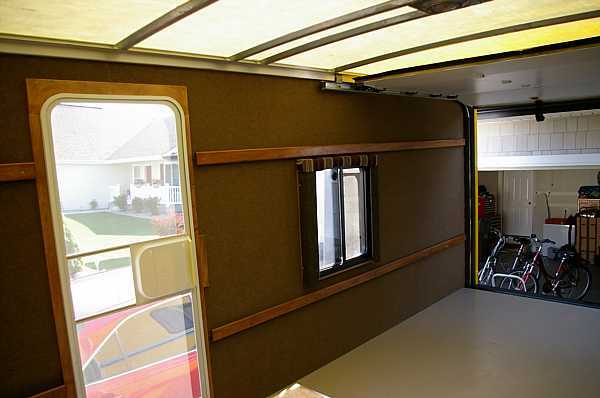 A homemade RV conversion could be completed on a tight budget. Terry noticed the RV had a small generator that could be used to power the RV. It also had insulation foam that was one-inch thick on the walls, and 3-inches thick on the ceiling. The owner had done the rebuild out at the military fabrication plant that he worked at. This allowed him to fill it with discarded odds and ends like insulation foam which would normally be expensive. In addition, the rig had been raised three inches and with all terrain tires now replaced the original Uhaul tires. The owner of the RV went on to fill Wade’s mind with stories of where he had gone and what he had done. For seven years he had traveled all over the Southwest and Mexico. He had parked on the beach and simply opened the rear door and enjoyed it…at no cost! Wade was hooked. Terry purchased a 2008 Penske moving truck with a 16 foot box. It was built on a GMC van with a 6.0 V8 engine that had 118 thousand miles on it. The rig ran great and got about 9 miles per gallon around town. His design plan was to create a light weight rig that would increase the gas mileage to 12 miles per gallon on the highway. 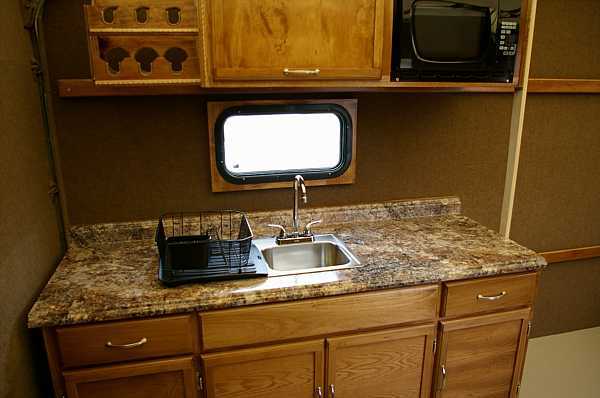 The kitchen included a simple cabinet with a sink and faucet, and a Coleman EvenTemp InstaStart 3 Burner Stove which can be used inside or outside. A gray tank will under the sink collects the water. A Thetford curve porta potty and a medicine cabinet make up the bathroom. He has no plans to install a shower. Instead, the family will use campgrounds when necessary. In the bedroom a platform bed holds a full size mattress with storage for clothing underneath. Lastly, Terry will be adding a tailgate screen door. This will allow the family to throw back the roll up door and view the great outdoors without dealing with bugs. What do you think? Would you like to convert a Uhaul or moving van? Have you ever seen a homemade RV? Does it excite you or seem a bit too weird? Add your thoughts in the comment box below. Thanks for reading this article. Please share it with your friends by posting it, tweeting in, pinning it or liking it. 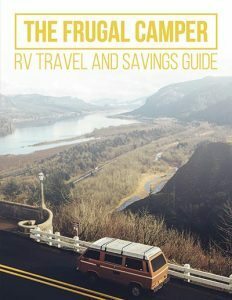 Your efforts help us spread the RV love!